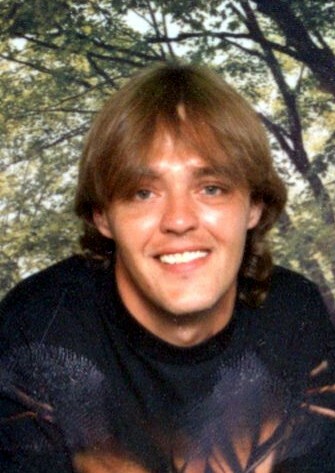 Edward “Eddie” Allen Gilpin, 50, of North Vernon, passed away at his residence on Tuesday, March 19, 2019 at 6:00 p.m.
Born May 18, 1968, in Madison, he was the son of Edward Ray and Beverly Ann (Dean) Gilpin; they survive. Mr. Gilpin worked as a material coordinator for Martinrea in North Vernon. He enjoyed fishing and working on his house. Surviving with his parents is his son, Edward Ray Alexander Gilpin of North Vernon; sisters, Cheryl (Kenny) Lockhard of Georgia, Patricia Jones of Seymour, and Tanya Lozier of Columbus; and several nieces and nephews. He was preceded in death by his sister, Carol Elizabeth Gilpin. A celebration of life for Mr. Gilpin will be held on Monday, April 1, 2019 at Dove-Sharp & Rudicel Funeral Home and Cremation Services from 2:00 p.m. until 6:00 p.m. with a closing prayer lead by Rev. Sherman Beville at 6:00 p.m.
Memorials may be made through the funeral home to help cover expenses.